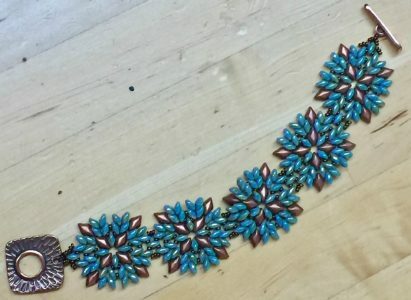 Achieve the pattern of a bird in flight with diagonally stitched seed beads and Demi Rounds, two-hole Cabochons, and Gemduos. Pattern by TrendSetter Olga Haserodt. 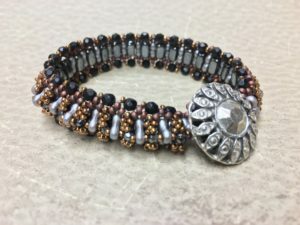 Use Gemduos and two-hole Cabochons to create an airy, decorative bracelet band, then finish it with square-stitched sections of Demi Rounds and seed beads. Pattern by TrendSetter Csilla Csirmaz. 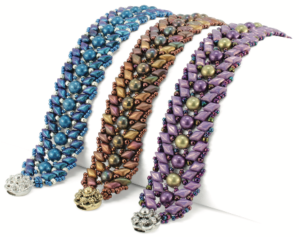 Crisscrossing strands of TOHO® Demi Rounds and English Cut Rounds dance across a base of pressed-glass Rounds and CzechMates® Cabochons in this easy-to-stitch bracelet, designed by Lisa Jordan. A stunning bracelet that’s layered and dimensional but a piece of cake to create. 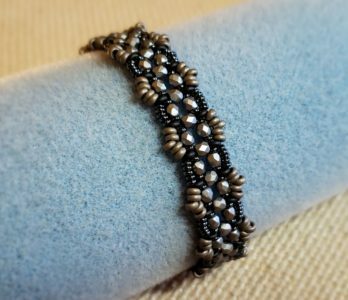 Simple components combine to create a gorgeous bracelet designed by the team at Good Quill Hunting and discovered by the Funky Gals. Amanda will show you how to get it done! 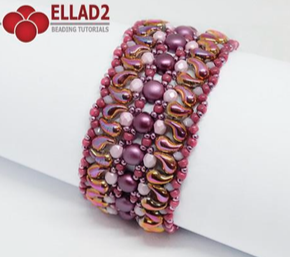 So much beady fun in this bracelet by designer Ella D! Zoliduos! Cabochons! Pearls! Crystals! Seed beads! With endless color combinations, this is sure to be a favorite new bracelet in your collection. 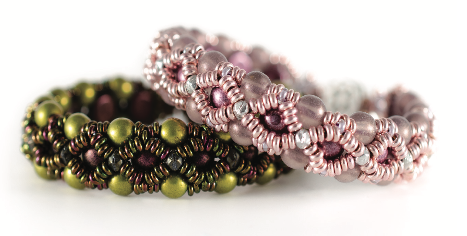 This fun-to-bead pattern makes a sweet little bracelet using CzechMates® Cabochons, seed beads, and SuperDuos. Whip up a few of them for Spring! 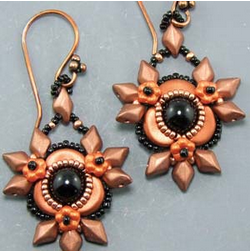 This fun & funky earring design uses some neat shapes of beads to create it’s unique design. Funky Amanda shares this new favorite design by Carolyn Cave with you. How fun is this bracelet!? So fun you’ll be making them for everyone on your gift list this holiday season!! 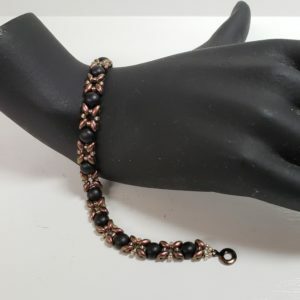 This is a sleek, sweet little bracelet. We’ll use simple right-angle weave and netting techniques to create a lacy effect with firepolish and Demi Rounds. Join us for a fun Friday afternoon! Photo and description on the way!